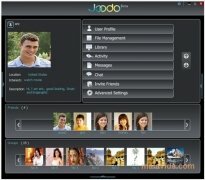 There are hundreds of P2P networks prepared so that the users from all over the world can easily share all kinds of contents through various clients, but now, thanks to tools like Joodo, it will also be possible to create a network that only our friends can access and thus make it a lot easier for us to share files with them. This application is very similar to other clients, but with the added features that it has social network functions, an instant messenger system, a multimedia player and a feed reader. When it comes to searching for files, the program will do so among the contents shared by the users with which we share the net, being a lot more reliable and faster than if we do so through another application, because it is highly unlikely that we will find an unpleasant surprise, like infected surprises and false files. 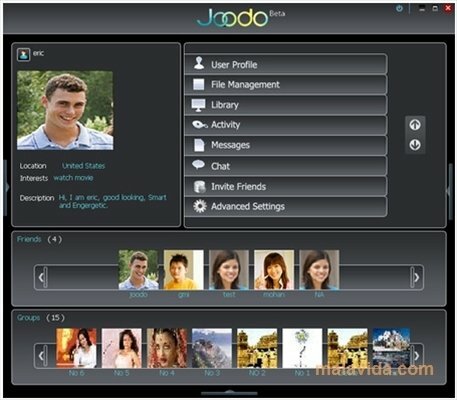 If you want to set up a P2P network with your friends, to be able to download files, keep contact with them and at the same time always find out what is happening in your favorite websites, download Joodo now.